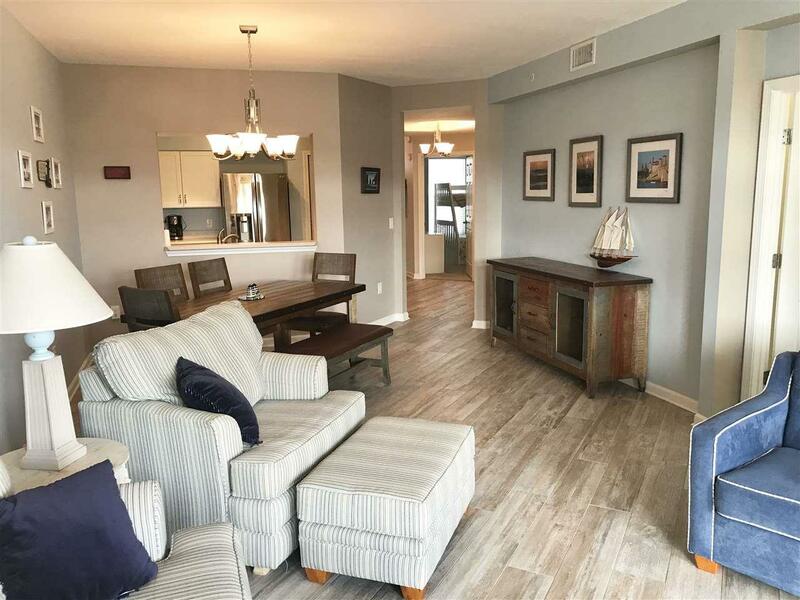 Tastefully remodeled and furnished, the attributes of this gorgeous condo speak for themselves even better in person. Rarely used and never rented except for a few months each year to teachers staying for the summer, you'll be pleasantly surprised by its almost-new feel. Beautiful porcelain tile covers the living areas, and master bathroom and guest bath are sure to impress with their tasteful remodels. Furnishings are included with only a few exceptions, and washer and dryer are brand new. A spacious balcony overlooks the grounds and lake and faces southward...a popular selling point for those vacationing in the winter months. 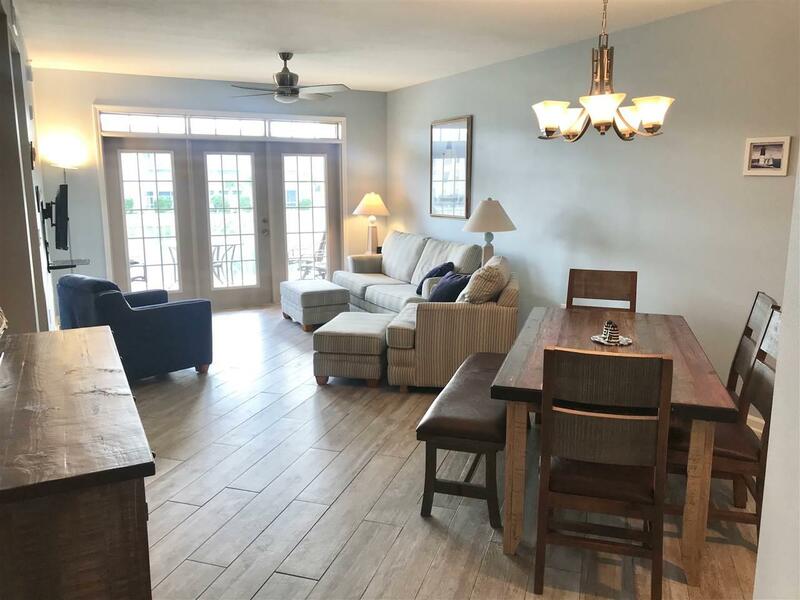 Seaside at Anastasia is located within a short walking distance to St. Augustine Beach's popular restaurants, and right across the street from the pier and beach. 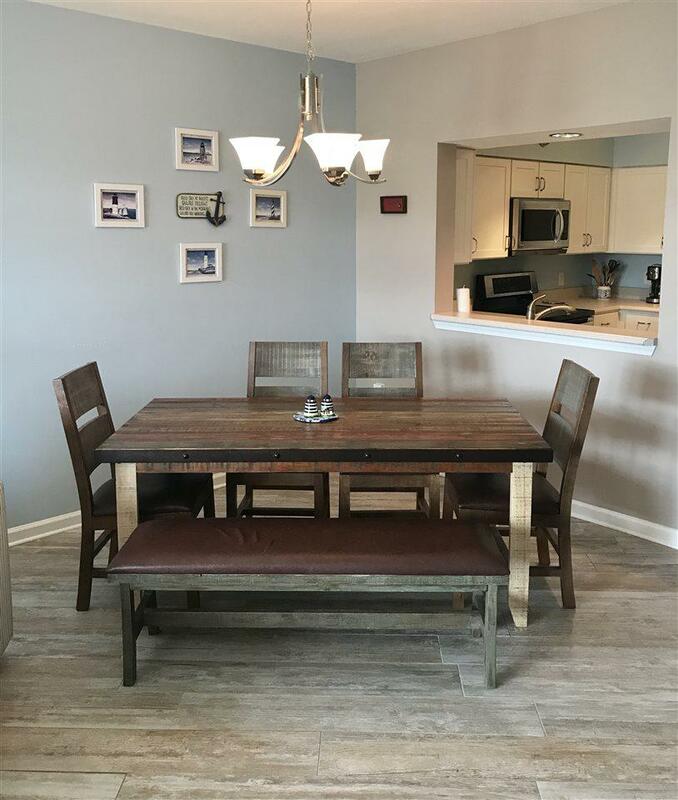 With a heated pool, clubhouse with exercise room, and gated entry, short-term rentals are allowed and management is conveniently on site.